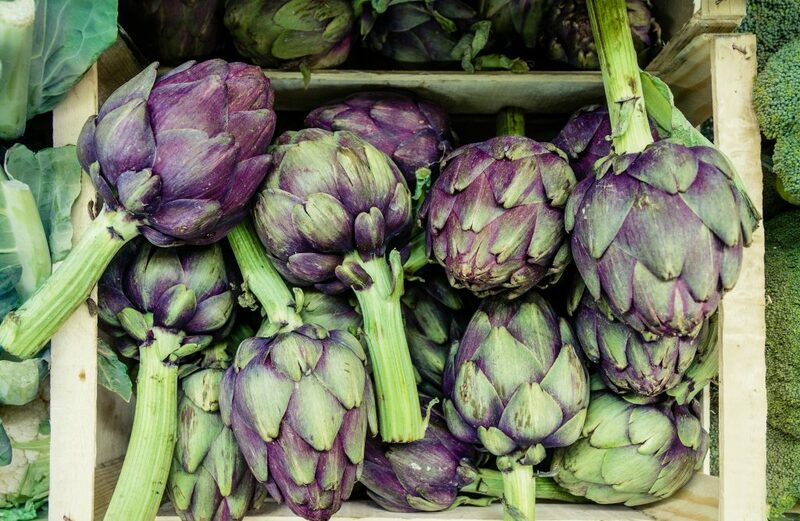 Artichokes are a vegetable that can be intimidating to some. Don’t let that stop you! This recipe is simple and delicious. When vegetables are roasted, the flavor profile is so different than just steaming or boiling, especially for artichokes. Roasted artichokes are wonderful on their own, or paired with a dip or sauce. They make a great addition to an antipasto platter, or added to a salad. You can even play around with the seasonings a little bit by adding some black pepper or red chili flake. They are so much more than just a side dish! We have plenty of artichokes at the Coop this week, along with many items to accompany them. We hope to see you soon! Preheat your oven to 425 degrees. Place artichokes stem-side down in a bowl and drizzle with the fresh lemon juice. Slightly separate the artichoke leaves with your hands and insert a knife blade into the center of each artichoke to create a space big enough for a garlic clove. Drizzle each artichoke with olive oil. Press 1 of the cloves of garlic into the center of each artichoke and season them with salt. 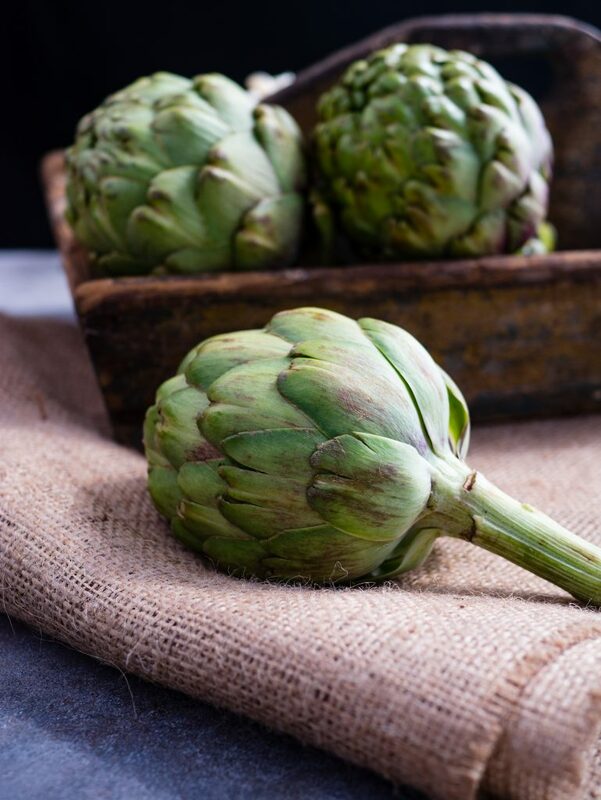 Wrap each artichoke twice tightly with heavy-duty aluminum foil and put in a baking dish and bake in the oven until they are sizzling, about 1 hour 20 minutes.